Enacted under the pretense of greater safety for women, oppressive abortion regulations are having a paradoxical effect: endangering American women. Few abortion opponents have the candor to admit the real goal of this epidemic of state legislation. 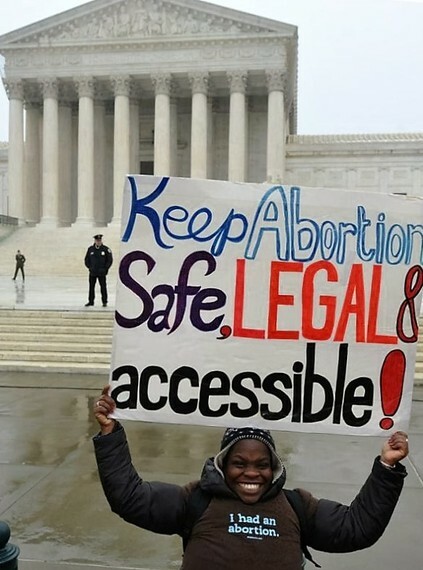 They hope to make safe, legal abortion inaccessible and thus drive women into the back alley once again. This meets the definition of misogyny. Numerous regulations govern abortion services. However, after the Planned Parenthood v. Casey decision opened the door to more state restrictions, the problem of needless regulations became epidemic. Having provided abortions in clinics and hospitals for more than forty years, I can report that corridor width (regulated by 10 states) has no relation to safe abortion care. No public health need exists for more regulations. Abortion remains one of the safest procedures in contemporary medical practice, and that has been true for four decades. Indeed, just two years after Roe v. Wade, the prestigious Institute of Medicine documented the public health benefits of safe, legal abortion. According to the federal government, the risk of death from abortion in recent years has been less than 1 death per 100,000 procedures. To put that in some perspective, the risk of death from an injection of penicillin is twice that high. A recent survey of complications after abortion in the state of California confirmed that emergency room visits and hospitalization after abortions are rare. The U.S. is an anomaly among developed countries in having a risk of maternal death that is rising, not falling. In the most recent federal report, the risk of death from maternal causes was 16 deaths per 100,000 live births. A comparison of abortion and childbearing risks, published in 2012, found a 14-fold higher risk with childbirth. Because of the increasing risk of childbirth, the disparity is larger today. 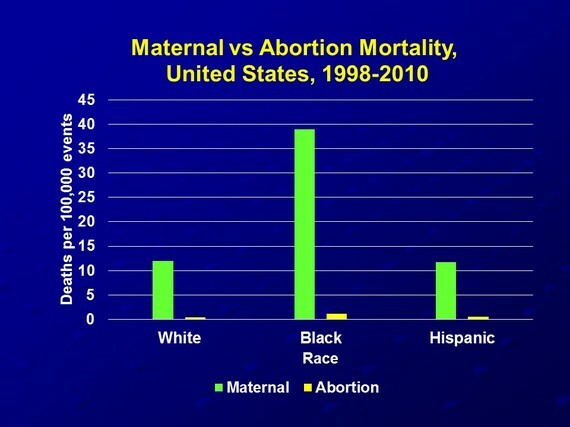 As shown in the bar graph below, abortion is dramatically safer than childbirth for women of all races. Despite medical advances in recent decades, pregnancy, childbirth, and the post-delivery period remain dangerous. According to data from the Centers for Disease Control and Prevention (CDC), a woman's risk of having one or more pregnancy-related complications is 60%. Given about 4 million births per year in the U.S., that translates into more than 2 million women suffering complications, some being long-lasting. Data sources: Creanga et al. ; Zane et al. As documented decades ago, one of the most powerful predictors of abortion safety is the duration of the pregnancy: the earlier the procedure, the safer. Delays of any origin, such as mandatory waiting periods, postpone care to later, more dangerous stages of pregnancy. Studies of the impact of these laws in Texas have confirmed this harm, with delays up to three weeks. When clinics are forced to close because of draconian abortion restrictions, women are also forced into interstate travel to get care. Still others resort to dangerous attempts at self-induced abortion. Three ethical principles provide the foundation for all health care: beneficence, autonomy, and justice. Beneficence requires that what we do to patients is in their best interests. Autonomy means free choice among available treatment options based on the best available scientific evidence. Justice means equitable access to care. 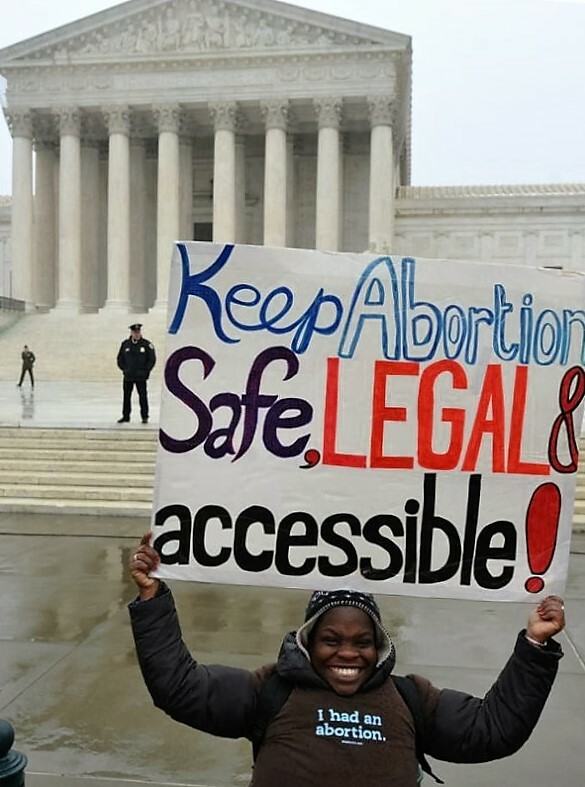 Imposing gratuitous abortion restrictions violates all three criteria by increasing risks to women, limiting treatment choices, and making adequate care dependent upon one's zip code. Regardless of one's views of abortion, new regulations must be rejected as unethical. In the year that I was born, more than 700 women died in the U.S. from dangerous, clandestine abortions. The population of the nation was less than half of that today. Despite the well-documented health benefits of safe, legal abortion for women and their families, some want to return women to the back alley again. Our response as a nation must be "never again."